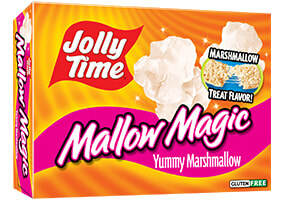 In business since 1914, Jolly Time is one of the largest growers and manufacturers as well as a leading, recognized popcorn brand in the United States with distribution in over 48 countries. 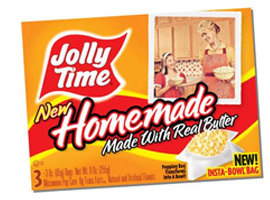 The Jolly Time brand microwave popcorn is available in a variety of flavors: Natural (Crispy ‘n White), Blast O’ Butter, Butter (Butter®Licious™), Butter Light (Butter®Licious™ Light), FunMania, Healthy Pop, Cheese and Sugar. 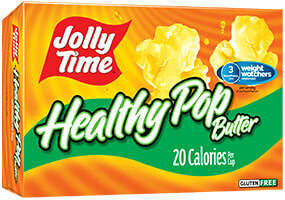 Jolly Time brand pop corn is considered to have unique flavor and attributes which makes the product line different and easier to sell. 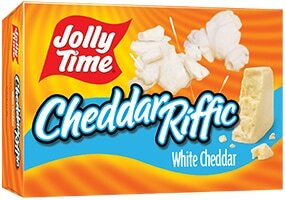 ​Try the new CheddarRiffic flavor! 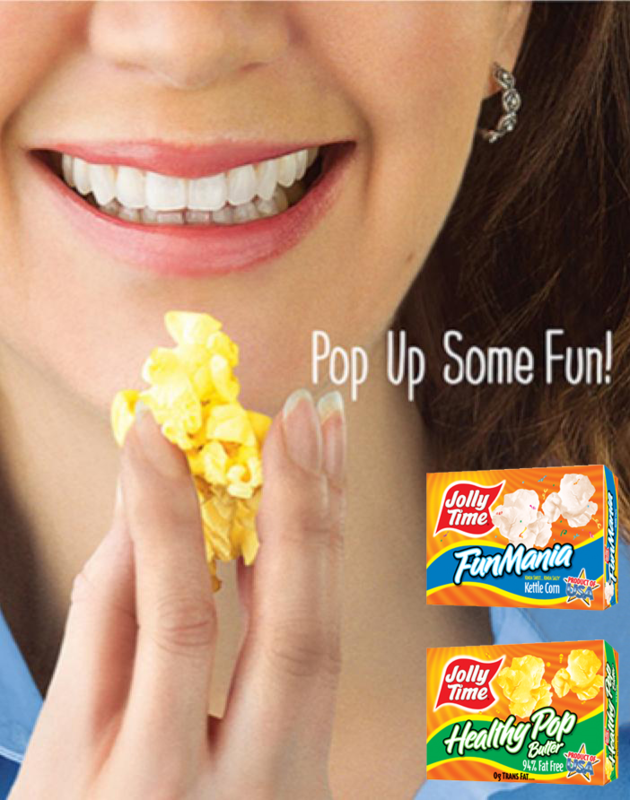 All Jolly Time microwave products are ready to be consumed after a one-step popping process. This means that there is no messy mixing involved. The flavor is already in the bag! The consumer does not have to mix it. We do it for them at our plant. 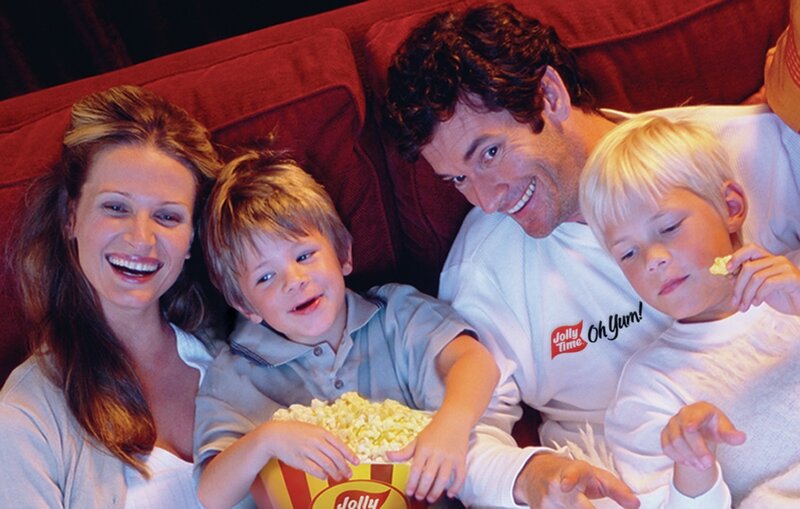 Looking forward to you becoming part of the global Jolly Time Family. Jolly Time products offer a shelf life of 15 months from the date of production. *Upon request, our sales team can provide you a full product presentation (PowerPoint, CFR Pricing, Harmonized Codes, High Resolution pictures, Ingredient and Nutritional information). 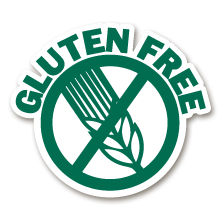 ​*Note: Some of the product lines on our website may not be available for distribution in your market place due to pre-existing arrangements. Please contact our sales team.